Everyone bitched and McDonald's listened. 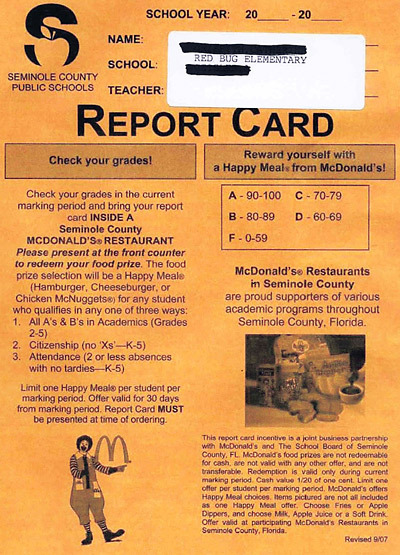 Under pressure from the Campaign for a Commercial-Free Childhood and 2,000 angry parents, the fast food giant haspulled the advertising it had placed on Seminole County, Florida's report cards. 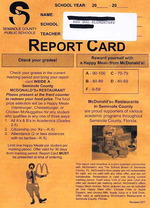 Graciously, McDonald's will still pay the cost of printing the report cards, the initial reason given for the ad placement.